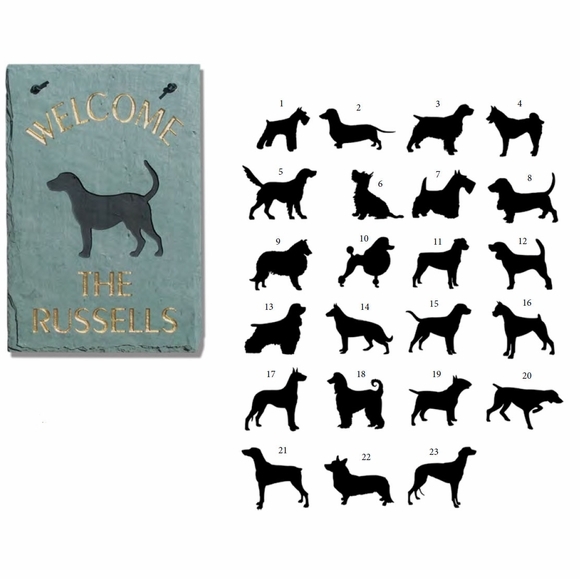 Personalized Name or Address Sign with Dog - - silhouette of your favorite dog breed ranging from retrievers to french poodles. Made in USA. 9" x 12" dog theme stone sign personalized with your name, an address, or alternate text. The word "WELCOME" comes standard at the top of this plaque. Please type the 1 or 2 digit code for the breed you want in the Breed number input box.